Nobody just walks into a store or restaurant anymore. Before wasting time checking out a new place, today’s savvy customers Google it, look for reviews and ask friends for recommendations. It’s the new way to shop. That consumer mindset is trickling into the healthcare industry as well. Patients today are more connected and informed than ever, and they’re making decisions about healthcare providers based on the experiences of others. One of the most common ways they research your healthcare facility is by trolling review sites and social media. When patients leave reviews and comments about their experience with a doctor or healthcare facility, you can bet those reviews will factor into the opinions others form about your practice. But does it really matter what a disgruntled patient said about you? Shouldn’t your reputation be built on your skill and experience? Maybe. But the truth is that your patients will see those reviews, and they will make a difference. If you want a say in how people perceive you, then you have to take proactive steps to manage your online reputation. There’s even a name for it. It’s called reputation marketing. 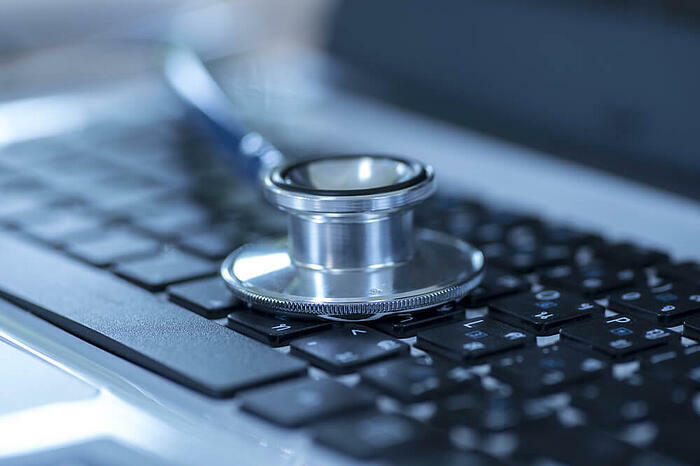 The internet may not always be the most reliable source of health information, but it is one of the most common. Almost three-quarters of internet users search for health information online. Here are three keys to making sure they really know what to expect from your practice. Notice that some of these resources are specific to the healthcare industry, while others cater to a broad range of users. Patients may leave a brief review about how friendly the staff and doctors were, or they may delve into wait times, parking availability, cleanliness and setup of the facility, bedside manner or the specifics of how they were treated by a particular doctor. Reading these reviews will give you a clear picture of what patients like about your practice and what may drive them away. And sometimes, the negative reviews can be more helpful than the positive ones, so don’t discount them. Claim your provider profile. Sites like Yelp allow you to claim your profile so you can make sure contact information, location and hours are up to date. Once you have claimed your page, encourage patients to leave reviews by posting a sign in your waiting area or promoting on social media. Audit your online review presence. Check each of the review sites we listed above and make sure your contact information and address are correct. Stay informed. Take time to read through the reviews and see what people have to say about your practice. What do they love? What do they hate? Why would someone not return? Take control of your online reputation by responding to feedback—even negative feedback. If someone has a bad experience, take time to address their concerns and answer their questions. It may be a misunderstanding or there may be a genuine issue with how the patient’s circumstances were handled. Whatever the case, showing that you care may give you the opportunity to earn that person’s trust again. You should also consider designating a staff member as the reputation manager for your practice. This individual is responsible for finding and responding to feedback, answering questions and dealing with customer service concerns. It’s easy to dismiss reviews as a tiny percentage of what’s being said about you online. But the truth is that people tend to trust what others say about you more than they trust what you say about yourself on your blog, social profiles, or website. Negative reviews can hurt your practice. When you invest the effort to address problems and respond to reviews, your patients see that you truly care about delivering a top notch patient experience. And that’s worth the effort. Your patient experience matters—both on your website and around the web. If you need help designing a patient-friendly website or social media strategy, our healthcare marketing consultants are standing by. Call us today for your free consultation!